The Holy Medicinal Order are a faction of peaceful, wandering healers. As you would expect, they are beloved by most every faction. Although wanderers are most of the membership, the Order has a few bases. Your tribes prized possession, a functioning medi-bot finally broke down. Your group of 4th level seekers is charged with taking the medi-bot to a Holy Medicinal Brotherhood base. Specifically, follow the Pilgrim’s Way in hopes of finding the Holy Medicinal Brotherhood base. Per normal for MCC, nobody in your village has visited the base and you will set forth into the wilderness hauling along a broken bot hoping to find the Holy Medicinal Brotherhood. Your directions may or may not be accurate. The MCC system encourages randomness. 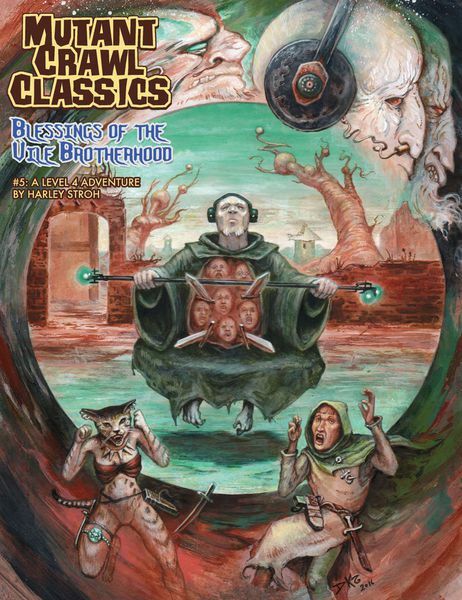 “Blessings of the Vile Brotherhood” turns the random chaos to “11.” Your group will have to choose a path through the wilderness to find the base. There is a very long trek. The groups choice of paths will in-turn increase the odds of encountering some factions/encounters and reduce the odds of encountering others. “The Pilgrim Way” is the obvious, easy path – but is it the best route? 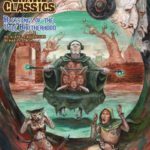 Unlike most MCC and Dungeon Crawl Classics adventures, this module is mostly wilderness travel and encounters. The dungeon part is less extensive than the wilderness part. If I was GMing this module I would roll up and familiarize myself the wilderness encounters before I started the game. The party has a lot of travel choices and some advance GM preparation promotes a seamless adventure instead of a mad scramble of GM dice rolling. I like this module. The broken medi-bot is a great motivation for a wilderness trek. The GM is provided multiple factions and player choices are rationally integrated into the odds when/how various factions will be encountered. The wilderness map is well done. However, I think advance GM preparation is more important since the encounters are less linear than your typical MCC dungeon crawl which is more limiting on player choices. No pregenerated characters are provided. You could scale the difficulty up pretty easily. 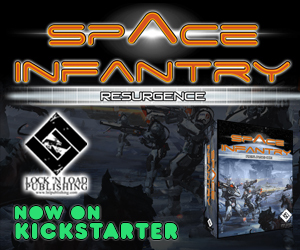 One could perhaps scale down the difficulty somewhat, but doing so would require more of a pre-game rewrite by the GM.